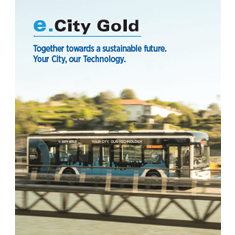 e.City Gold is a vehicle with 100% electric motors, designed to meet the sustainability needs of your city. 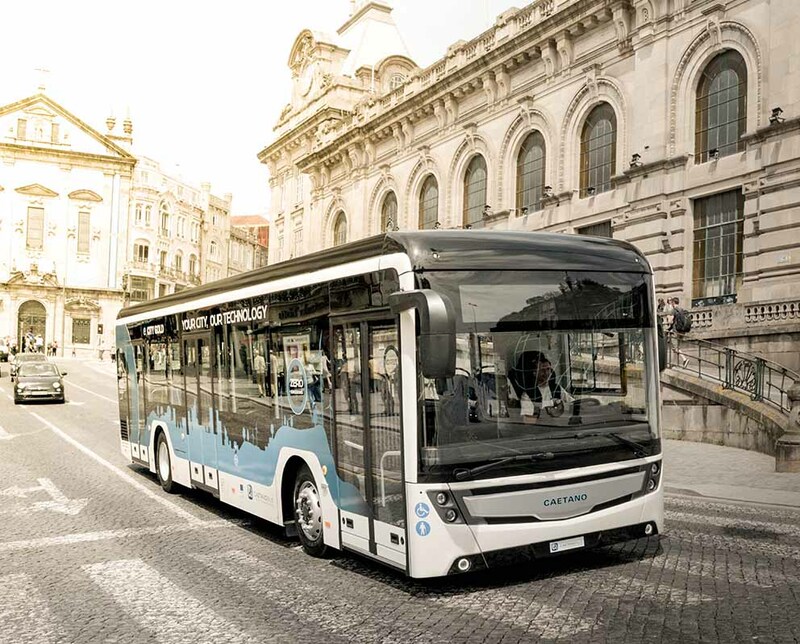 Aware of the environmental challenges that society is facing, CaetanoBus developed and produced this electric bus that meets current urban transport demands. 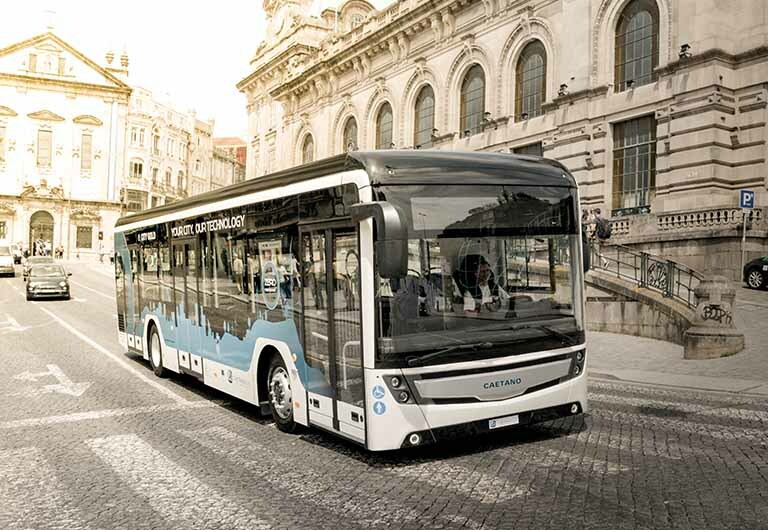 With a high capacity for up to 88 passengers, the e.City Gold stands out thanks to the absence of CO² emissions. Its design has fluid lines with a smooth aesthetic pattern, providing for a clean and prosperous future for your city. Absence of emissions and noise. Reduction in maintenance and power costs. Product tailored to customer needs. Manufacturer reserves the right to change product specifications. Other versions on request.